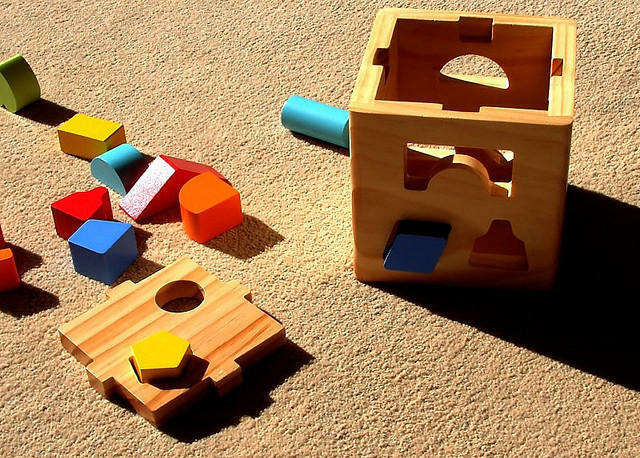 The Texas Senate has put the statewide pre-K program on the chopping block, reports KXAN. The most recent Senate budget plan shows significant funding cuts for the pre-K grant proposal, which is backed by Gov. Greg Abbott. The grant plan was initiated two years ago, after lawmakers declared state prekindergarten funding to be in a state of emergency. The Governor’s grants would put well over $100 million toward high-quality Pre-K across Texas. Last week education advocates traveled to Austin to urge lawmakers not to scuttle the pre-K grants. Retired Navy admiral Jud Scott was among the pre-K supporters at the capital. “We need them, our military needs them, our country needs them, we also need these kids to succeed in life,” Scott said. There are currently about 220,000 Texas children participating in the program, statewide. Yesterday the Texas Senate Education Committee passed legislation to open the door to what has become known as “School Choice.” As The Texas Tribune reports, the new bill would pay tax dollars to parents, to be used for private school tuition and homeschooling expenses. The bill passed by a vote of 7-3, with the Republicans on the committee voting in favor. The measure will now head to the full Senate, where it’s also expected to pass. The legislation has long been a priority for Lt. Gov. Dan Patrick. Some rural homeschool parents have suddenly found themselves making unlikely alliances with public school unions in Texas, reports The Texas Tribune. Many homeschool advocates have traditionally been staunch conservatives. But now some are lining up against former allies like Senator Ted Cruz, to battle a “private school choice” bill that could pass this Texas legislative session. The Oklahoma Legislature may soon give public school teachers a raise, reports The Oklahoman. The proposed law lays out a three-year plan, under which Sooner teachers would receive an increase of $1,000 in the first year. When the three-year term is over, teachers in the state will have seen a total pay increase of $6,000 per year. A celebrated Amarillo teacher has invited President Trump’s new Education Secretary to visit the Texas Panhandle, reports The Amarillo Globe-News. Shanna Peeples made news across the country two years ago when she was named the National Teacher of the Year. She was personally given the award by Barack Obama, and had a private lunch with the former president in Washington. A new bill being proposed in Oklahoma would forgive student loans for the state’s teachers, reports KFOR. Rep. Mickey Dollens’s proposed legislation would give Oklahoma teachers student loan forgiveness if they stay at any school for at least seven years. Educators cheered the bill, saying it’s on the right track. But, they added that the new law doesn’t solve the crux of the education problem in Oklahoma, which is low teacher pay.